Loss is like a deep and oozing gash. The initial injury is acute, requiring focused attention and many resources, but even after time and with significant healing the scar is forever visible and tender when touched. In the past year I have experienced the pain of losing two hairy, sometimes smelly and always mischievous friends. 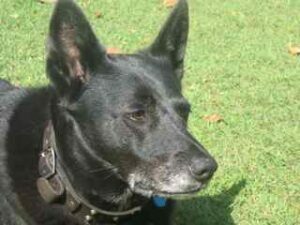 Last year, our family dog, Max, passed away after 15 solid and vibrant years of life, which is quite impressive for a Labrador, Kelpie cross. The story goes, that my parents and sister went to a local animal shelter for a look, when Max, upon spotting them, decided that they would be his new family and subsequently imposed himself upon them; a behavior that became indicative of our new family dynamic. Unfortunately, Max did not come alone, but rather he brought with him an extensive infestation of fleas and what looked like ticks, which I confess are not the most endearing accessories. But with several baths and treatments he soon glistened like a shiny, black Ferrari. Over the years Max’s visits to the vet primarily consisted or the routine needles and check ups; that was until old age began to bare down upon him and steal his hearing and sight and to damage his organs. 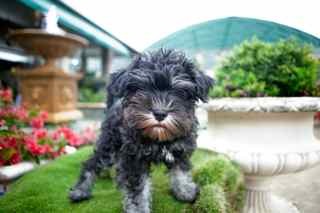 Around the time that Max’s health was heading south with pace, my boss purchased a fantastic puppy called Hugo, who would also double as our workplace mascot. Hugo also had a big personality and an infectious joy for life, which impressed itself upon everyone that met him. In the morning he’d run around the garden hoping to get as wet as possible. As the day progressed he’d alternate rest with intensive gnawing on his toys and, with any luck, a game of tug-of-war. Then, as the sun grew sleepy and headed to rest, down he’d come again bursting with energy and eager to play. Sadly, unbeknown to anyone, Hugo’s liver had serious problems, that in the end could not be remedied. Hugo, a purebred, came from a reputable breeder and had the very best of care, nutrition and exercise throughout his year of life so his health issues were the cruelest of blows. In one way it seems silly to cry at the death of a dog and yet it also seems appropriate. Both Max and Hugo had such a presence and very overt personalities. They were such a feature in the lives of those that knew them, as well as confidants and friends, and then, they were gone; never to plonk themselves upon you again or look at you with those pathetic, pleading eyes desperate for food or some play time (or preferably both); never to just be. I am sad and I will miss them both but I am very glad that, for a season, they were such a fun-filled and vibrant part of my life.